Plastic lock straps are an economical yet attractive and durable way to attach luggage tags to suitcases, brief cases and bags of all types. 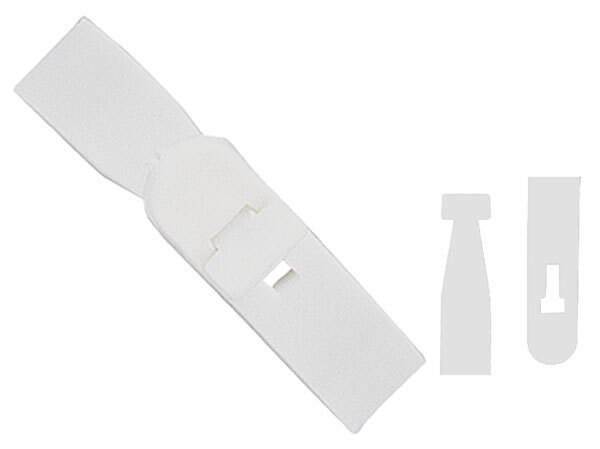 Plastic lock straps are available in three styles: Vinyl "T" Lock Strap, Dual-Post and Post & Notch Lock Strap. 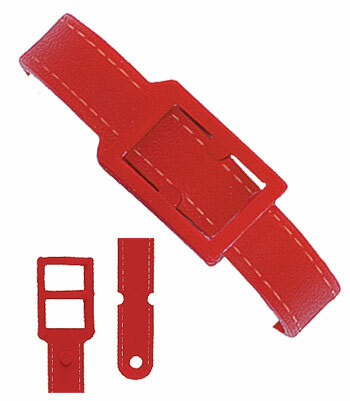 Several plastic lock strap colors are available. Simply swist the "T" shaped end of the plastic lock strap thru the slot at the opposite end to create a strong and secure fit. Insert the end with the two holes through the buckle end and snap the holes into the rigid lock strap posts for a secure fitting. Insert the end with the hole through the buckle end and snap the notches into the rigid lock strap post for a secure fitting.